Cloud vendor builds out portfolio breadth and partner ecosystem to create more strategic conversations with the C-Suite. Seldom used as part of the familiar channel lexicon, the term Workday is gaining greater interpretation across the partner ecosystem of Australia and New Zealand. Traditionally heard down the lavish office corridors of the world’s largest consulting firms, the financial management software vendor is now moving down the chain, expanding reach through small cloud advisory firms. 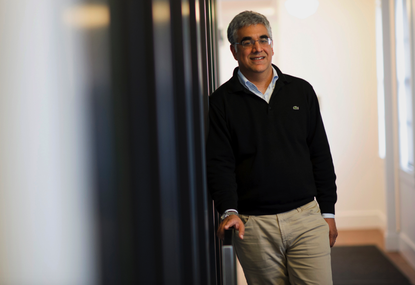 In selling cloud-based applications for finance and HR, the cloud upstart is forever butting heads with long-time industry stalwarts SAP and Oracle, making cash through selling subscriptions to its services rather than software outright. Fresh from reporting revenues of $US409.6 million - up 34.2 per cent year-on-year - the challenger company shrugged off operating losses amounting to $US109.9 million, instead building out its portfolio breadth and partner ecosystem to target the enterprise. And Workday’s approach of prioritising top-line growth over profitability is paying off, following major customer signings during the quarter across the US and Europe, including GE Appliances and KONE respectively. “Continuing to sign large enterprises is crucial as Workday uses these as reference customers drive adoption in key regions and industries,” Technology Business Research analyst, Kelsey Mason, said. During the quarter, Workday announced the general availability of Workday Learning, Workday Planning and Workday Student - billed as three major products capable of replacing outdated systems across the enterprise. “Bringing Learning and Planning into deals alongside HCM and Financials as well as its data-driven functionality will help Workday engage in more strategic conversations with the C-Suite,” Mason added. Instead, Mason believes a long-term infrastructure partnership with Amazon Web Services (AWS) and Workday-focused acquisitions by global systems integrators (SIs) such as Accenture and Wipro will expand Workday’s global reach. “Workday can then focus on building out its portfolio to more closely match the breadth of incumbents’ offerings, and use cash on hand to make strategic, niche acquisitions,” Mason added. Consequently, Mason expects data to be the focus of some of these purchases. Founded in 2005, the vendor works closely with key channel partners such as Accenture, Capgemini, Deloitte, PwC and CSC, including a smaller portion of emerging cloud consultancy businesses. Given that over half of all cloud revenue deals are influenced by a channel partner, the organisation is realising the role of its ecosystem in performing customer installations and providing professional services. According to recent financials, subscription revenues are expected to be within a range of $US1.282 to $US1.285 billion, suggesting market potential for aspiring Workday cloud partners. For Mason, Accenture’s acquisition of Workday services firm DayNine, will further help expand the vendor’s global enterprise reach. “Workday has a core set of Workday-focused services providers that have deep expertise in implementations of its solutions but lack the scale to help the company further penetrate the Fortune 500,” Mason added. As explained by Mason, Wipro’s acquisition of Appirio and Accenture’s acquisition of Workday consulting firm DayNine in September are examples of this. 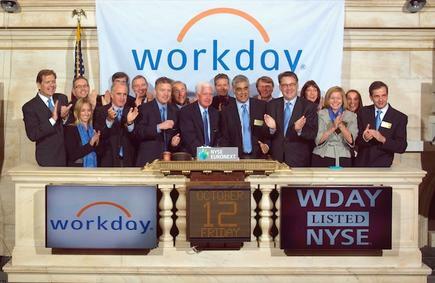 DayNine, one of Workday’s most strategic partners, has an estimated 400 employees with 1,250 Workday certifications. As part of Accenture, DayNine’s expanded global and enterprise reach will be critical in Workday’s enterprise push. “TBR expects the combination of DayNine’s consulting services with Accenture’s deep expertise in integration, change management and digital transformations will make Workday more top of mind in IT transformation engagements,” Mason added. In 2017, Mason believes Workday will increasingly also emphasise the mid-market, using its newly developed implementation tools to lower costs, as well as its partnership with Microsoft as an inroad to these accounts. Additionally, Workday will find new ways to expose data to customers and monetise that data to create new revenue streams. “Partnering with Microsoft gives Workday near-term distribution benefits, but long-term potential for expansion could create a unique differentiator,” Mason added. “Workday builds out the breadth of its portfolio to align more closely to incumbents such as Oracle and SAP, but continues to struggle in matching their distribution. Most recently, Workday partnered with Microsoft to integrate Financial Management and HCM with Office 365. Mason said this partnership will enable data to flow freely between the solutions, making Workday more attractive to the millions of commercial Office 365 customers. “While the partnership does not differentiate Workday (SAP has a similar partnership), the entrenchment in both the mid-market and enterprise with Office 365 presents an ideal inroad for Workday in key customer segments,” Mason added. Looking ahead, Mason believes Workday continues to differentiates its analytics from peers, while leveraging second-party data as it attempts to take market share across the world. “The value of data has increased, particularly to lines of business (LOBs), as it can be utilised to improve internal business processes which is a top strategic goal,” Mason added. While Workday had been building out analytics for first-party data, the vendor also announced plans to launch a Data-as-a-Service (DaaS) solution in the second quarter of fiscal 2017. “DaaS would allow customers to anonymously contribute data to the service, allowing other users to benchmark their own metrics against second-party data,” Mason added.